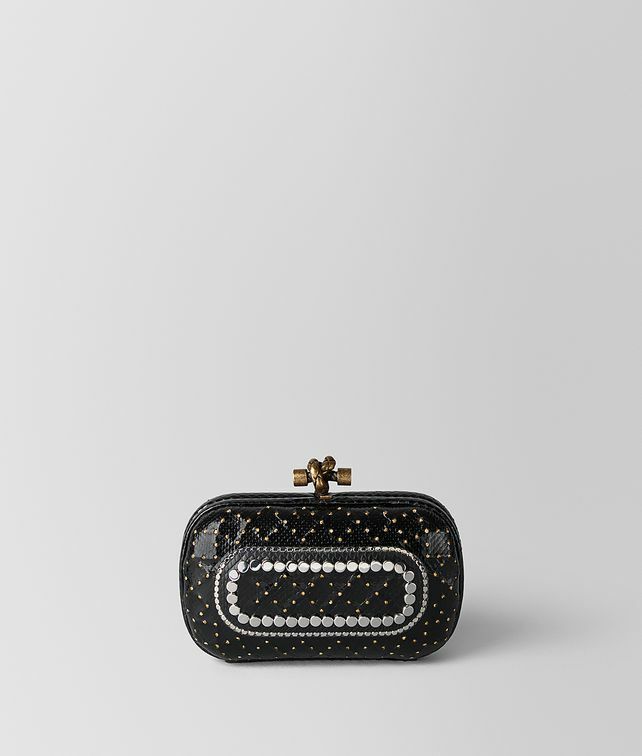 The iconic Knot clutch is remade for Fall/Winter in an intricate new workmanship that debuted on the runway in New York. The complex process involves gold chains placed under nappa leather, which is then is inlaid with metal studs and laminated cord. The result is a jewel-like embellishment that recalls Manhattan’s sparkling skyline.